Our summer 2019 season embraces music, art, visual media and the spoken word spanning a wide range of styles and cultures. Please click here to browse our brochure online or click here to go to our ‘What’s on’ page where you can find out more about our events and book. 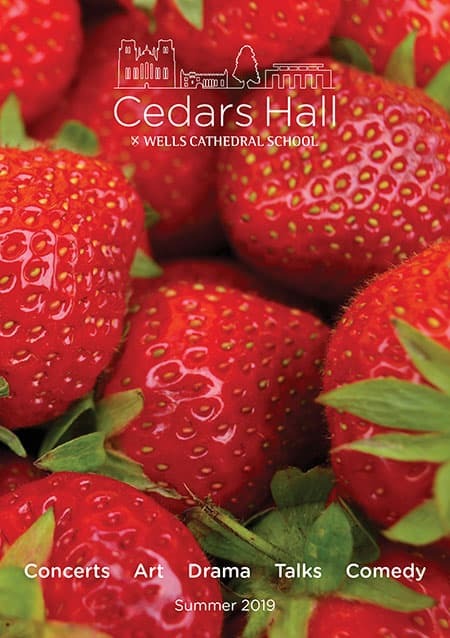 Cedars Hall is situated in the heart of Wells Cathedral School and can be accessed on foot either from The Liberty ( ) or from the main gate on College Road ( ) (postcode BA5 2ST). Please note there is no public access via the service gate at the Bristol Hill junction of New Street and Mountery Road (X) (A39). Quilter Hall is located in the Music School directly next to Wells Cathedral (BA5 2UE). There is limited parking next to Quilter Hall and Wells Cathedral at the side of the road. If you need disabled parking, it is best to try and arrive early or ring the Box Office who will try to arrange for some reserved parking next to Quilter Hall. There is disabled parking on Cathedral Green and in the market square. We are able to allocate disabled-only parking in the car park adjacent to Cedars House on The Liberty. Please contact the box office (01749 834483) to reserve a disabled parking space. Please refrain from parking here unless you have booked a disabled space. 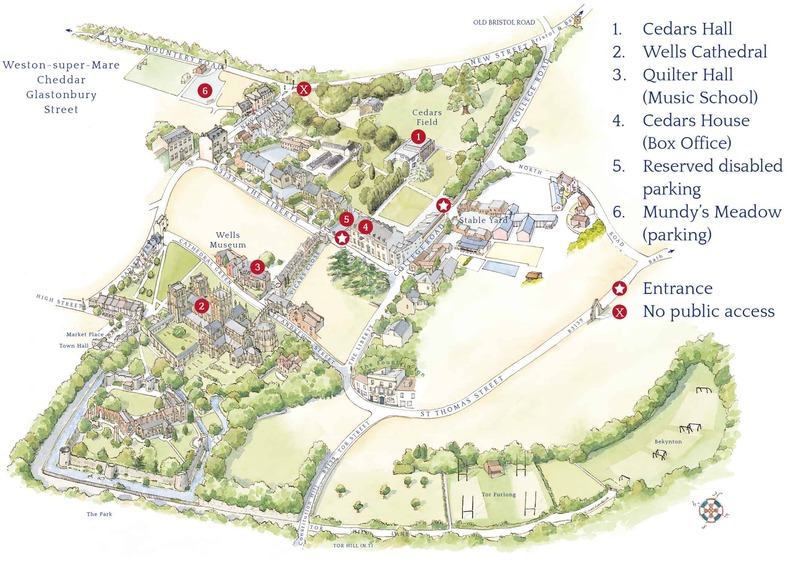 Further evening-only parking is available in Wells Cathedral School’s Mundy’s Meadow car park (BA5 2QL) ; from here it is a short traffic-free walk via Lovers Walk to The Liberty. Please click here for a map of how to find Cedars Hall, the disabled car park and Mundy’s Meadow car park. For more information on parking in Wells, please visit en.parkopedia.co.uk/parking/wells. Wells is full of cash points and banks, and the furthest you would walk for cash from Quilter Hall is less than 500 metres or 1000 metres from Cedars Hall. No photography or recording of any kind is permitted during concerts or drama productions. The doors aim to be opened roughly 30-45 minutes before the event is due to start. We will admit latecomers at a suitable break in the performance unless the artist has requested something different (such as no admittance until the interval). You can wear whatever you feel comfortable in at all of our concerts and events; there is no dress code. We have wheelchair access to our venues in Wells, but we cannot guarantee access at the external events so it is best to check with the external venues themselves. If the concert took place at Cedars Hall or Quilter Hall, please call our Box Office on 01749 834483 or contact the school reception on 01749 834200. 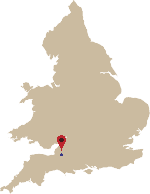 For concerts at Wells Cathedral, please call the cathedral directly on 01749 674483. For external events, please call the external venues directly. Please click here for our full Cedars Hall and events gift voucher terms and conditions. Please feel free to contact our Box Office on 01749 834483, [email protected] or by using the form below for bookings, reservations and any enquiries we haven’t answered below. We are open Monday to Friday from 9.30 am – 12.30 pm in Cedars House (click here for directions). We are closed closed weekends, bank holidays and on the day of our premier concerts. Depending on the event, we have various seating options for you to choose from. Please see our guide ‘Which Seat Should I Book at Cedars Hall?‘ for details. Our Friends of Music receive 10% off concert tickets and receive advance information of our events. To apply or find out more about being a Friend, please click here. We sell Wells Cathedral School Concerts and Events gift vouchers, which can be used to purchase tickets for our applicable concerts and events at Wells Cathedral School and its associated venues. Gift vouchers can be purchased online or by calling the Box Office on 01749 834483. Please click here for full terms and conditions. If you have selected to collect your tickets, they will normally be available for collection from our box office in Cedars House (click here for directions) during our opening hours until the day of the event. On the day, your tickets will be available at the venue where the event is taking place from roughly 30 minutes before the start time. We post all of our tickets asap. Whilst we have no control over how long post takes to get to you, in our experience, the vast majority of tickets arrive on time. If you think they should have arrived but they haven’t, please don’t worry. If there is plenty of time until the concert, please be patient as it is likely that there is simply a back-log. If the concert is imminent, please contact the Box Office (01749 834483) and we will reprint your tickets for collection on the door. We cannot refund tickets. However, if you bought your tickets directly from us, not through an agency, and the show is sold out, then we will endeavour to re-sell your tickets. We are not able to offer this service in the last 48 hours before a concert. Please contact the Box Office as soon as possible and note that we will need the physical tickets returned before we can start the process of re-selling. We cannot guarantee that we will be able to sell for you, but we will try. If the concert is not sold out, then your best course of action is to try and offer them to family and friends. If you have mislaid your tickets, please contact the Box Office, and we will take your details and duplicate the ticket. We don’t have a booking fee, but we do charge a £1 postage fee as an optional service (collection/print at home options are free). We do not charge any other fees. Our world class performing arts venue Cedars Hall, opened in autumn 2016, was designed by leading London architect, Eric Parry, and is the most audacious development in our school’s history. Cedars Hall provides the capacity for audiences of 350 in its main recital hall named Eavis Hall after our Old Wellensian Michael Eavis, CBE, founder of the Glastonbury Festival. Eavis Hall is a flexible and modern performance space accommodating an orchestra of 60 performers and an audience of 250, with other configurations possible through adaptation of seating and platforms. Whilst the hall’s award-winning design was devised to give chamber musicians the very best acoustic experience, the flexibility of the technical specification means that this venue is accessible for performers of every discipline – for amplified music, dance, drama and lectures. In addition to events in Eavis Hall, Cedars Hall provides rehearsal, teaching and performance space for the school’s 200 specialist musicians and serves as a hub for its significant community outreach, which provides music education (including workshops, concerts and masterclasses) for thousands of primary school children, elderly and disability groups in the South West each year. Cedars Hall includes three further teaching and practice spaces, each with an adjoining unique observation facilities as well as the John Baxter Foyer, bar and state-of-the-art recording facilities. Eavis Hall and The John Baxter Foyer are available to hire. Please see our Venue Hire page for details. Part of the music school buildings opposite the cathedral, Quilter Hall is a small, medieval, former concert hall. It is named after Alan and Sheila Quilter, the couple who recreated this school and did so much to ensure that it flourishes now. It was Alan, as headmaster, who acquired the former Archdeacon’s House from Wells Theological College and thus launched the school’s ability to sustain its music specialism. Quilter Hall tends to be used for smaller concerts such as our lunchtime series, masterclasses, early music and chamber music concerts. Quilter Hall is available to hire. Wells Cathedral was built between 1175 and 1490, replacing an earlier church built on the same site in 705. With its broad west front and large central tower, it is a landmark in the Somerset countryside. It has been described as “unquestionably one of the most beautiful” and as “the most poetic” of English cathedrals. The cathedral’s architecture is entirely Gothic and mostly in the Early English style of the late 12th and early 13th centuries. Wells Cathedral is an extraordinary venue for our large-scale performances, such as Symphony Orchestra Concerts and the annual Brass and Percussion Promenade and Woodwind Promenade. A number of our lovely buildings are available for hire. Please visit our Venue Hire page for details. Please click here for the Cedars Hall Brochure rate card. If you would like to find out more about advertising in our brochure or our other advertising and sponsorship opportunities, please email Sue Bartucca at [email protected] or fill in the form below. What business would you like to promote?